Late last year, concept art website ArtStation unveiled its first print book: Martin Deschambault’s Project 77, a neat collection that blends science fiction concept art and storytelling. 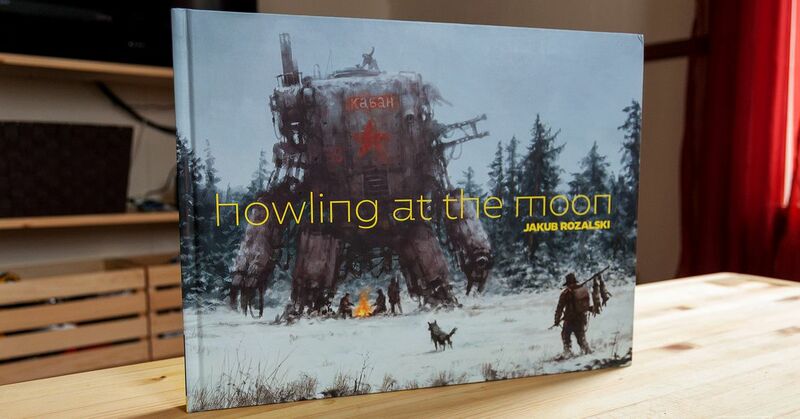 The site announced its next book earlier this week: Howling at the Moon by Jakub Rozalski, the artist behind the acclaimed board game Scythe. The book is a beautiful collection of fantastical art that reminds me of the style of Simon Stålenhag’s Tales from the Loop, which depicts an alternate, futuristic Sweden. We’ll see more of The World of 1920+ in an upcoming video game adaptation of the world called Iron Harvest, which just funded on Kickstarter. “I always try to make everything connected with each other,” he explains, “develop[ing] and build[ing] the larger narrative, characters and the atmosphere of the world.